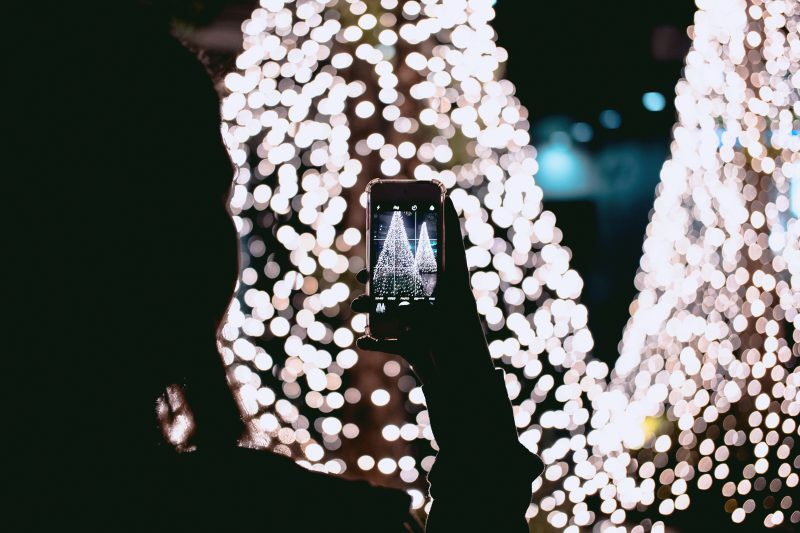 Get in the festive spirit and take a look at our top Christmas picks for 2018, read on below to find out more! 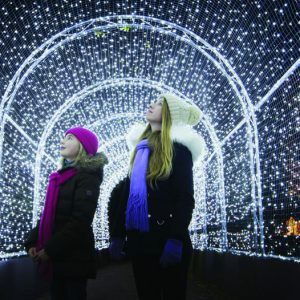 Experience a traditional, festive 3 days at Knebworth House this Christmas 9th – 11th November 2018. 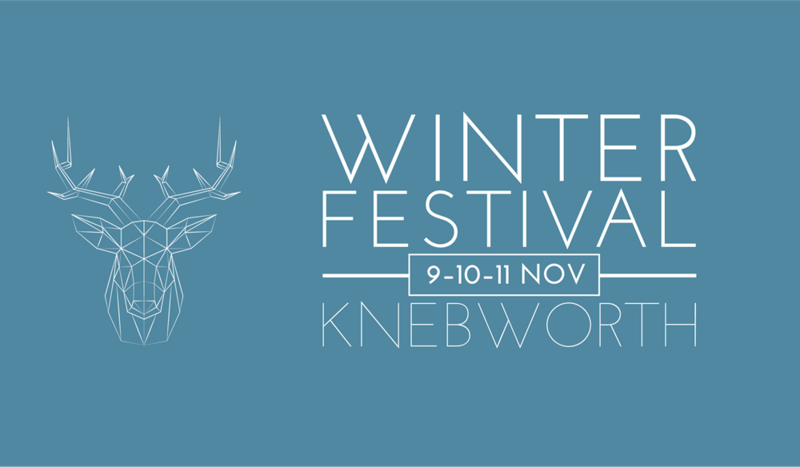 Whether it’s trying to find the perfect gift or festive trinket for a loved one, walking the little ones through the enchanted garden to find Father Christmas’s Grotto or simply getting into the Christmas spirit whilst sipping on mulled wine, at Knebworth Winter Festival you can relax and enjoy a wonderful festive shopping experience. 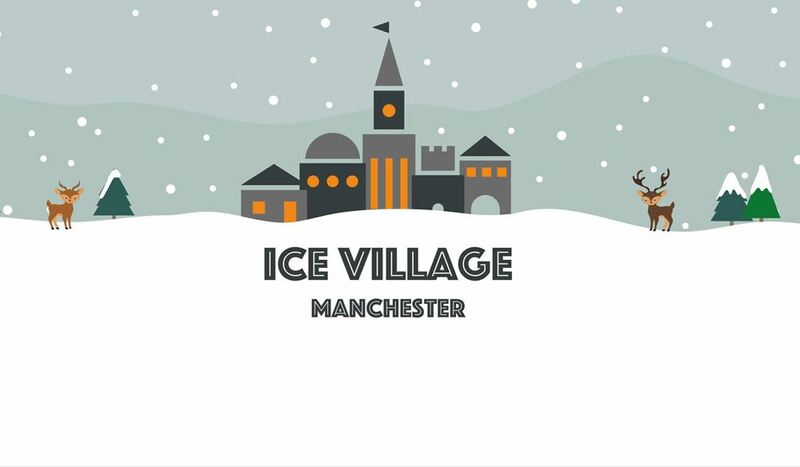 Featuring 200 craft, gifts, food & drink stalls, a themed outdoor food and drink village. 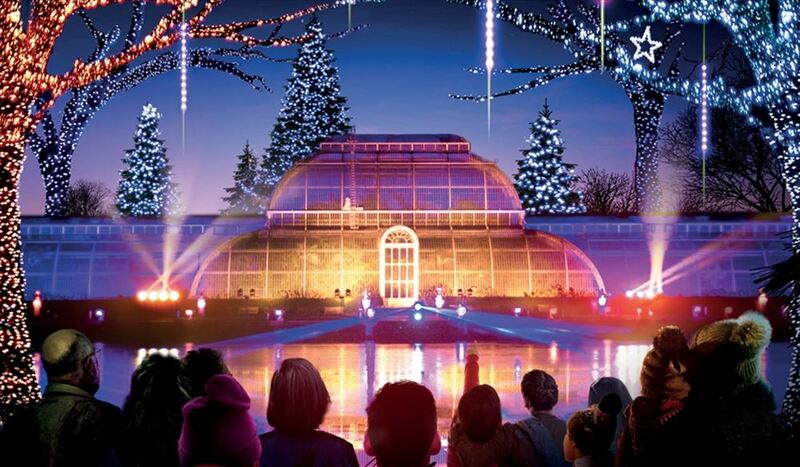 Get ready for stunning seasonal sparkle as Christmas comes to ZSL London Zoo like never before. 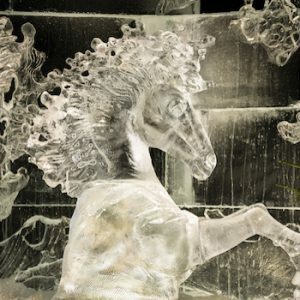 Discover the historic site and iconic buildings as a one-mile illuminated pathway winds its way through the Zoo in a magical after-dark experience. 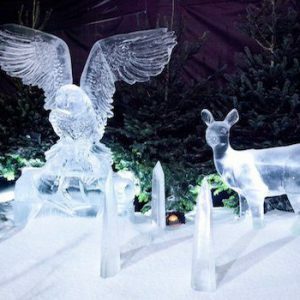 With the animals tucked up in bed, explore the trail where fairytale meets fantasy and larger-than-life, illuminated wild animal sculptures rise high into the night sky. 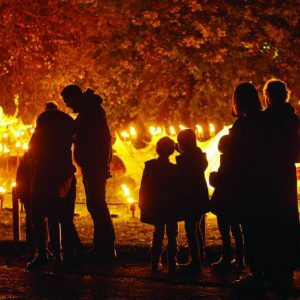 No festive stroll would be complete without a mulled wine or hot chocolate under glittering stars with the aroma of roasting chestnuts in the air. Ride the vintage carousel as you soak up the colourful atmosphere at Barclay Court and enjoy a trove of traditional treats before picking up an irresistible gift or two at the ZSL London Zoo shop! See the Gardens light up for an unforgettable after-dark festive trail of lights. 22 November 2018 to 5 January 2019. 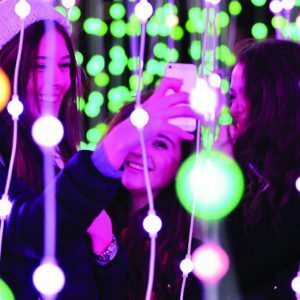 Now in its sixth year, Kew’s 2018 winter trail will be bigger than ever before, with over a million twinkling pea-lights and thousands of laser beams. Walk under welcoming arches into a world festooned with seasonal cheer and wander beneath unique tree canopies drenched in Christmas colour. 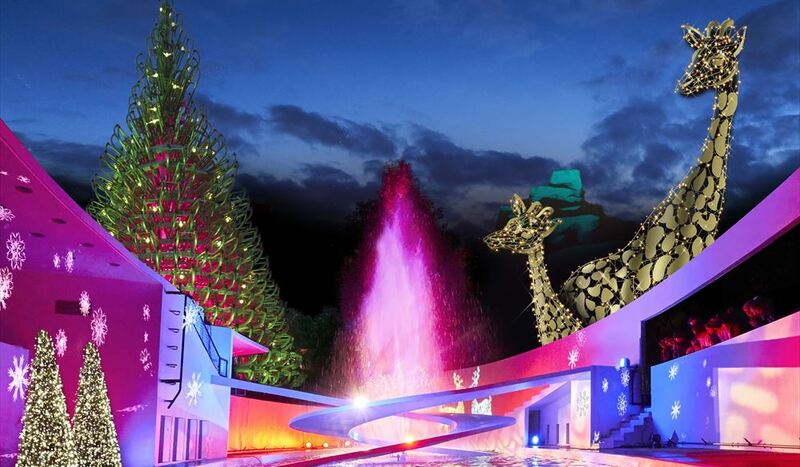 Glimpse the sculptural Fire Garden as it flickers and crackles in the distance. Wander beneath unique tree canopies drenched in Christmas colour. Walk under welcoming arches into a world festooned with seasonal cheer. 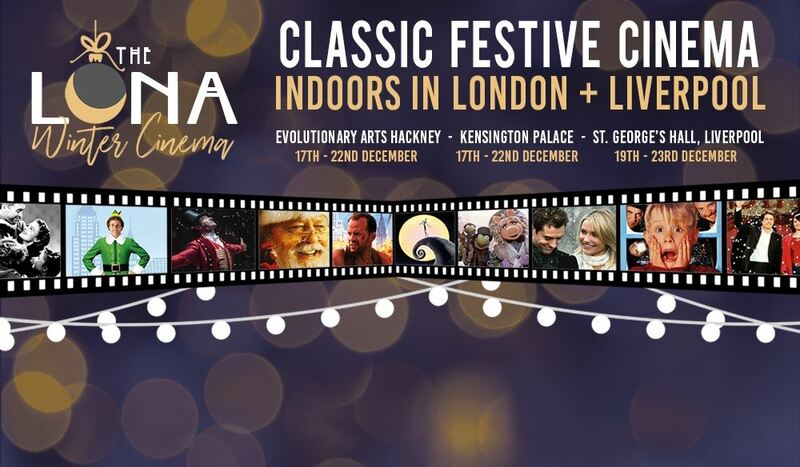 The ultimate festive cinema experience is here, bringing Christmas classics to the big screen in some stunning indoor (heated!) Spaces. 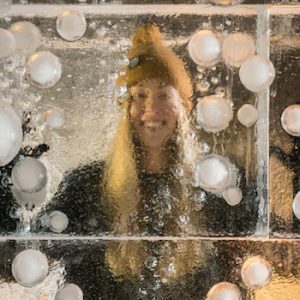 The Luna Winter Cinema is a new venture but is run by the country’s leading producer of open air cinema events. The screenings follow one simple formula: a classic film on a big screen in a beautiful or prestigious setting. Only using a state of the art LED HD screen and bespoke sound equipment to provide a cinema quality visual and audio experience.